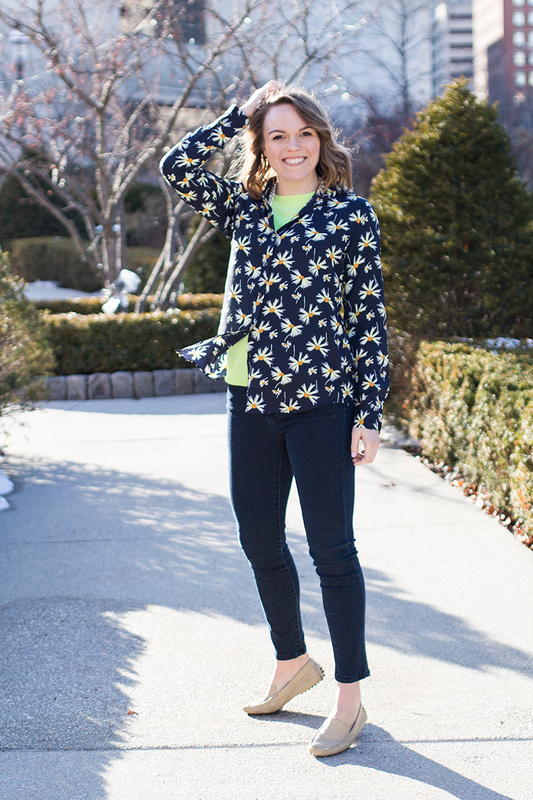 Wanted to share this quick look - it's beautiful here in Iowa and this week the mid-50's! 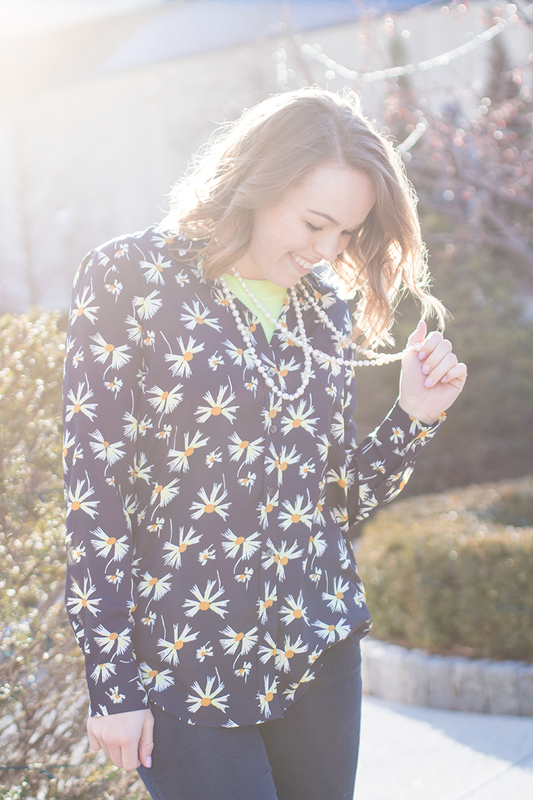 These photos don't do this blouse justice. 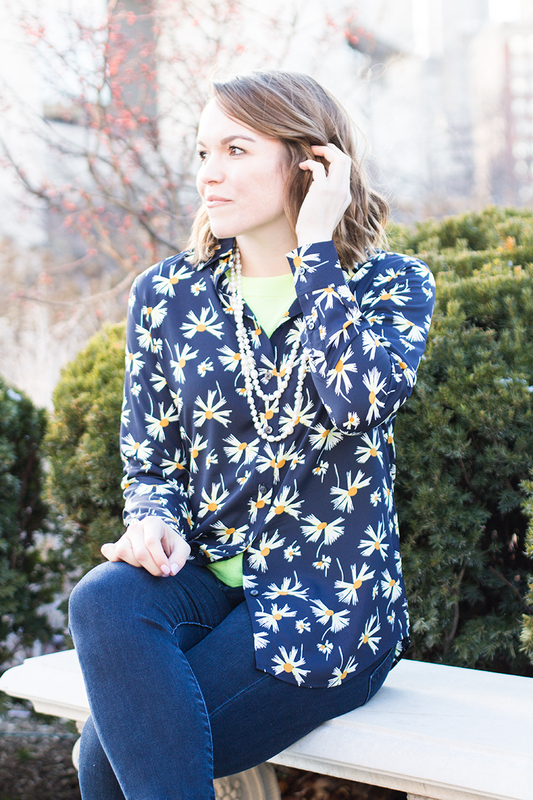 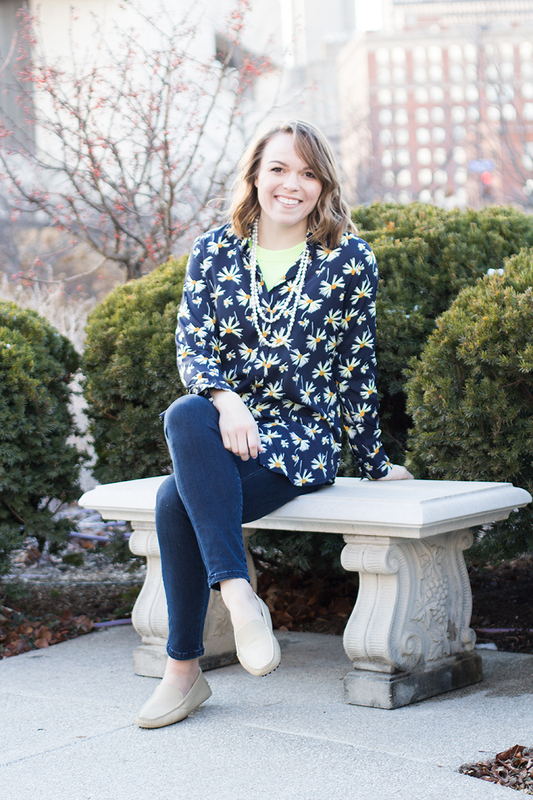 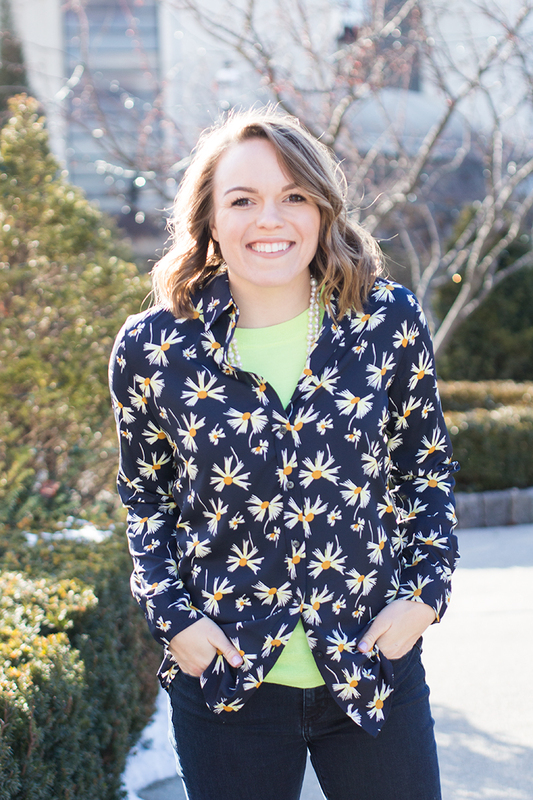 Around each flower there is a pop of bright yellow (like my sweater), it makes for the perfect transition blouse into spring. 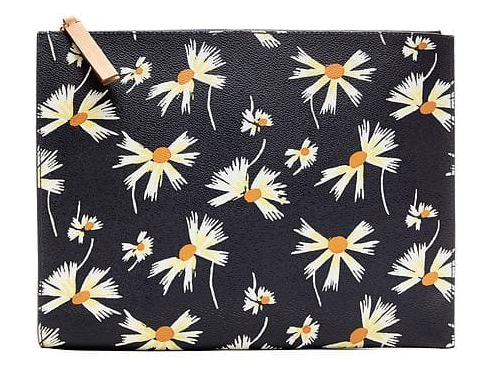 I may have to purchase this cute clutch - it would pair nicely with a white summer dress, jeans and an off the shoulder top!